It's time for another sketch over at RetroSketches! This week, is Jackie's turn. You can see her FABULOUS original here. So much texture and I LOVE those embossed hearts. An idea popped into my head right away for this card. I had printed off some digital paper I put together with some elements from a kit. I sat down a created that card! After I glued everything together, I looked over and realized I messed up the sketch a little bit!! Head on over to the RetroSketches blog to feast your eyes on all of the delicious creations that Arielle, Jackie and Laurie have prepared for you. You have until Thursday July 5th to link up yours. to share this news with you. They just opened up in June. 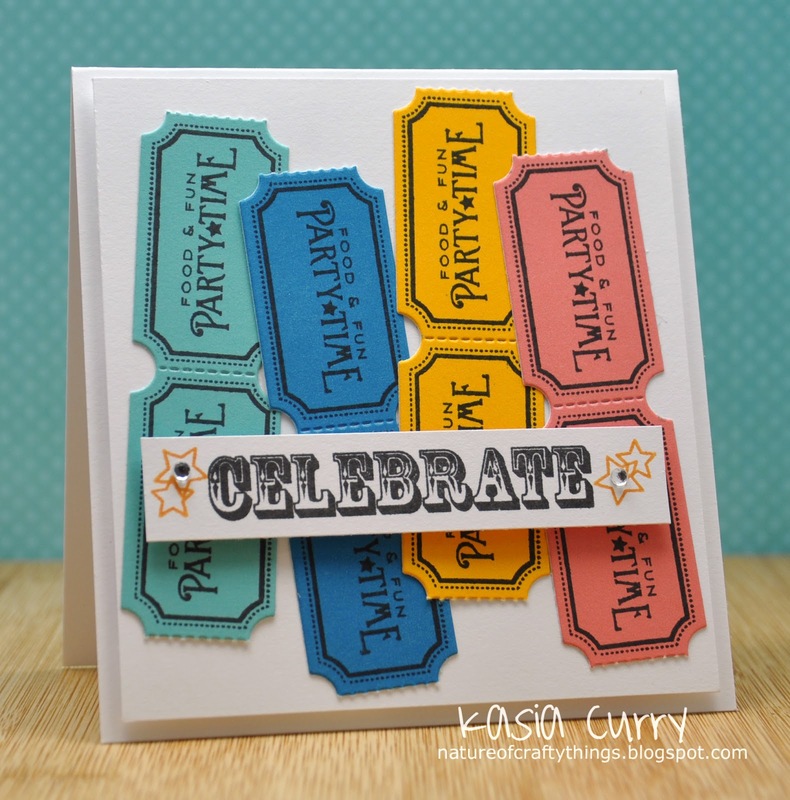 You can purchase stamps, cardstock and coordinating ribbon. is that Jamie (the owner/designer) has asked me, along with 3 other designers to be on the Avery Elle design team. The Avery Elle design blog can be found here. Thanks so much for stopping by and sharing in my happy news!! We had it for about a week, then just rain rain rain!! At least it's warmish out. I suppose I really shouldn't complain! I will say that we have had plenty of thunderstorms which I absolutely LOVE. I remember my mom used to wake me up sometimes as a kid, to go and sit on the porch and watch them! I had an amazingly hard time with this combo. And I believe it's because they are such strong colours. Primary colours!! 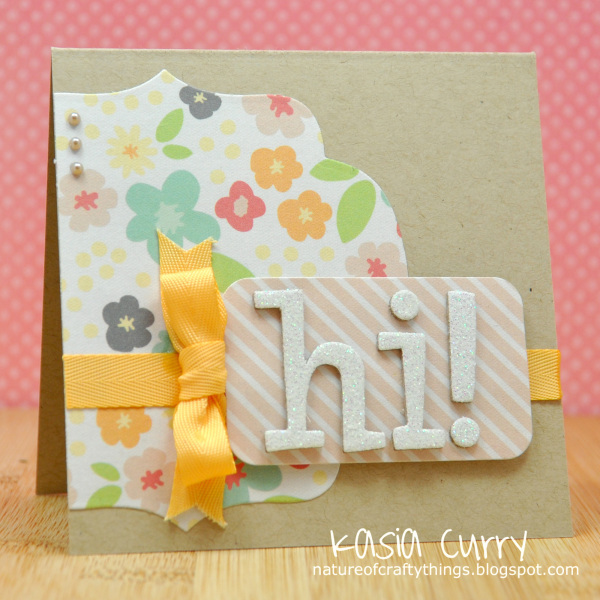 I was itching to use my circle border die from PTI. 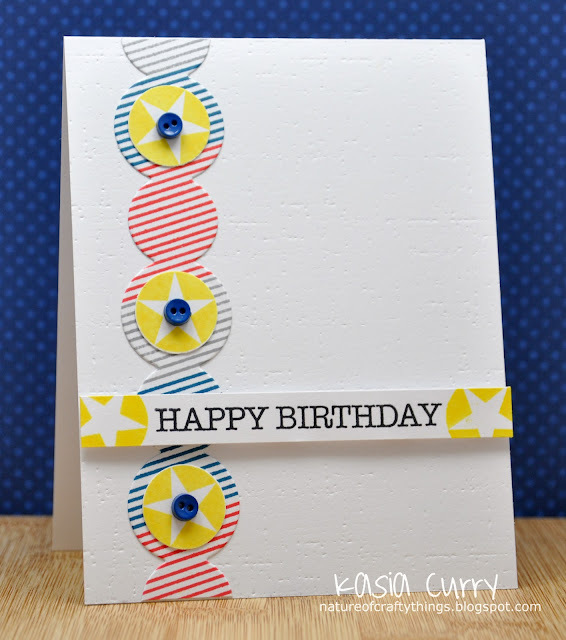 I used the Background Basics:Retro for the stripes and Boy Basics:Circles for the stars. This colour combo is quite festive!! I believe a bunch of the girls from the design team agree. You should head over to the ColourQ blog to checkout what they came up with. You have until Sunday July 1st to play along and link up your own creation. P.S. I have some pretty AMAZING news to share with you tomorrow. I do hope you will stop by to find out what! 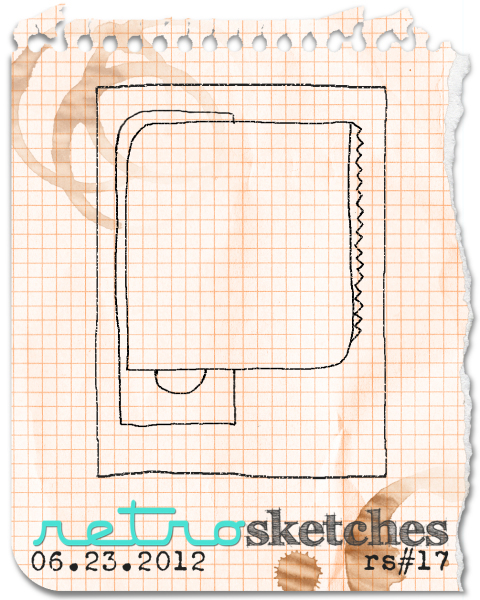 It's time for a new RetroSketch challenge. You guys came up with some pretty fabulous ideas!! 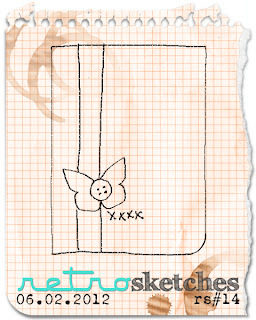 This week's sketch is based on this adorable card by Arielle. Isn't her coulouring just fabulous? 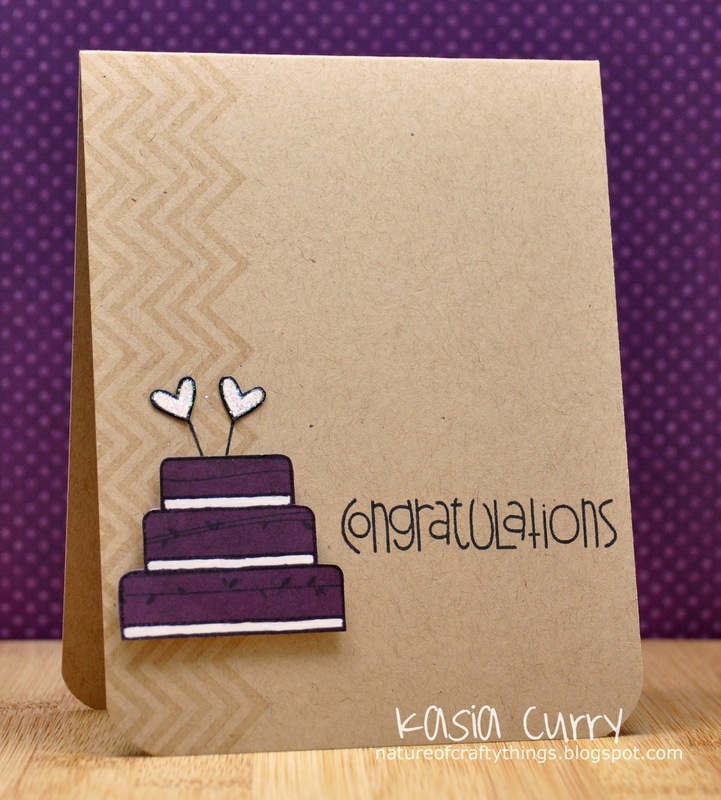 I needed a card for a family friend who just graduated from Teachers college. So I thought my card was kind of appropriate. Maybe giving her an idea of what's to come!!! 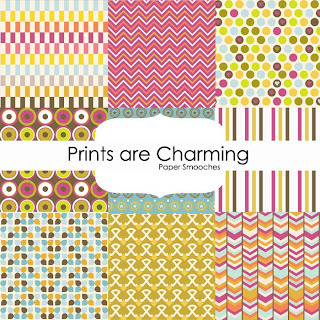 The Professor image & sentiment are Paper Smooches from the smarty pants set. 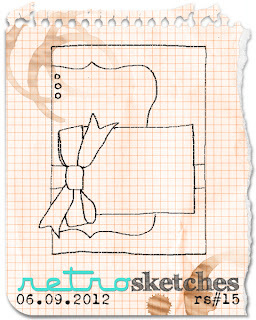 The paper is from a 6x6 pad from Fancypants, their off to school set. I love those wooden buttons, they are Close To My Heart. Please head over to the RetroSketches blog do check out Arielle's amazing re-make and the rest of the DT's awesome creations. Remember you have until Thursday June 28th to link up your own wonderful creation. This week's challenge is another Cool Shades Challenge. 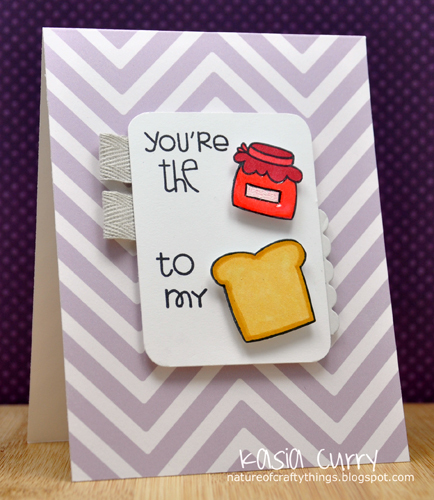 I took inspiration for my card directly from the name of the colours "PB & J"
I used Paper Smooches "wake up" for the jam and toast images, and "my guy", "alphadot" and "word salad" to create the sentiment. I coloured some white twill ribbon to create those greyish coloured tabs. I am so sorry for my little brain fart!! have created for your inspiration this week. You have until midnight Sunday June 24th to play along. Don't forget by linking up your creation you have a chance to win a $30 store credit at Paper Smooches. We spent it shopping at Costco, cementing our fence posts, and pulling weeds! 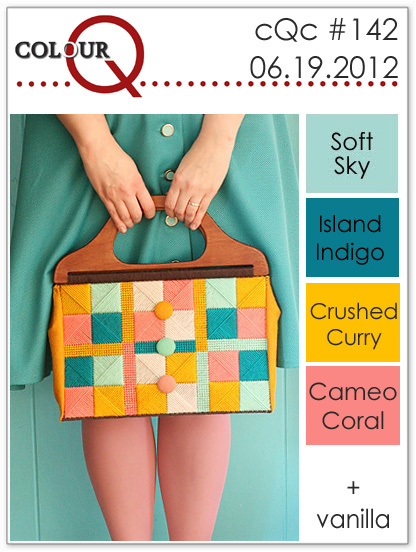 It's Tuesday so I have yet another yummy ColourQ colour challenge to share. I had a COMPLETELY different idea in my head when I first saw this colour combo. But I just wasn't able to bring it into the real world!! So here's what I came up with instead. I used PTI's Just the Ticket stamp set & die, as well as Say it with style for the sentiment. 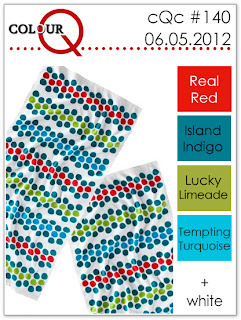 Please take a quick jump over to the ColourQ blog to look at what Arielle and the rest of the DT has to share with you. Then get inky and play along. You have until midnight, Sunday June 24 to link up. 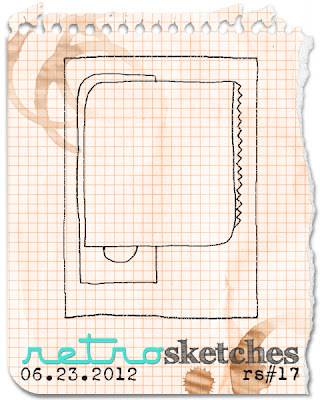 It's time for me to share with you another fabulous RetroSketches sketch. 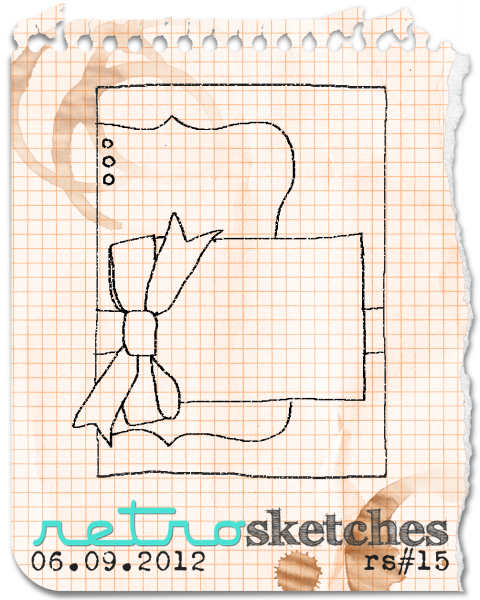 This week's sketch comes to you from our guest designer N@. She is a fabulous CAS designer. 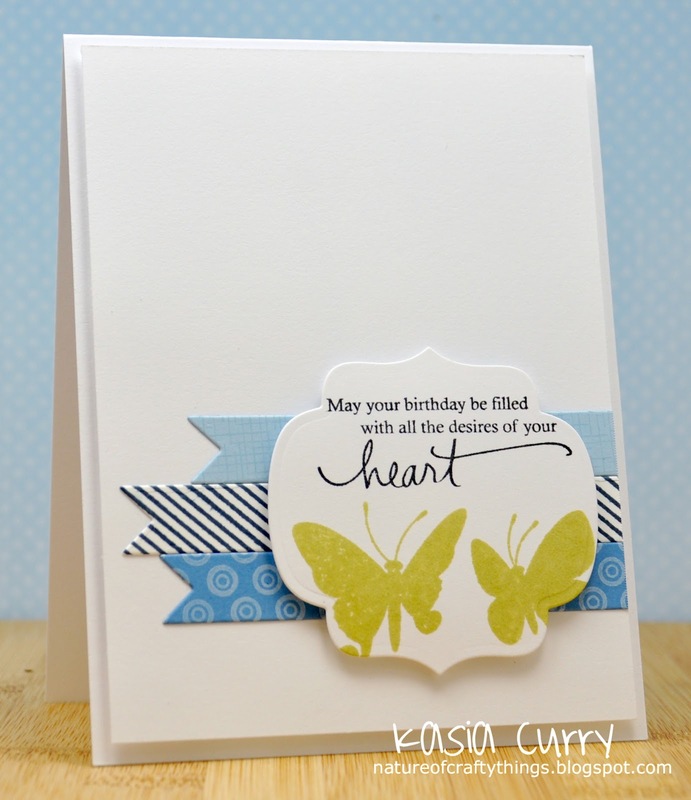 Head on over to her blog to check out her AMAZING card on which this sketch is based. Now at first look this may look a little daunting, but as Arielle said, this is a perfect time for a little "out of the box" thinking!! 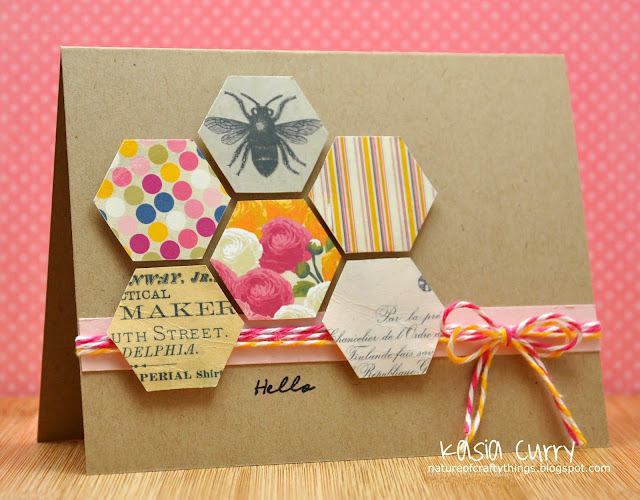 I chose to focus on the general layout and all of her wonderful layering. Now my layering comes in a one layer form, but there is still lots of layers!! I used PTI's "love birds". Again I cut apart a stamp that came as two birds because they were too close together to ink up in different colours. I also embossed the base card with their woodgrain impression plate. 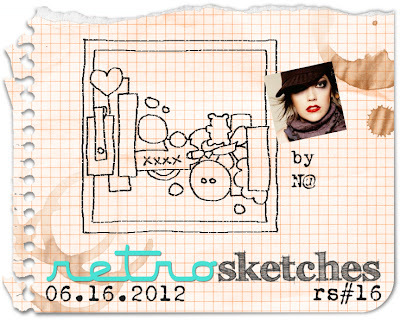 Head on over to the RetroSketches blog to admire N@'s remake and the samples from Arielle, Jackie and Laurie. We can't wait to see how you interpret this sketch. You have until Thursday June 21st at midnight to link up. 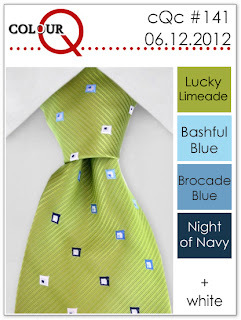 It's Tuesday, therefore time for another ColourQ colour challenge. This week's colours are kinda manly, at least I thought so! So I challenged myself to make something feminine with them. When I pulled out my labels dies for my last RetroSketches card, it must have sparked something in me because I haven't been able to stop using them since!! I also used my PTI beautiful butterflies, background basics: retro, and my Hero Arts envelope pattern stamp. 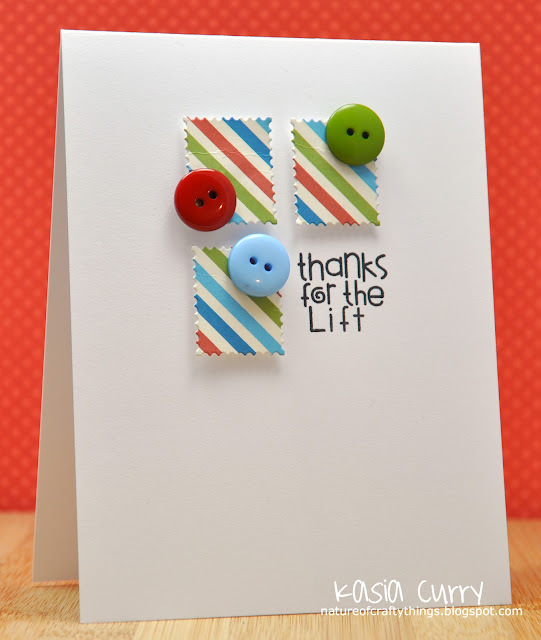 Head on over to the ColourQ blog to take a peek at what Arielle and the rest of the DT have come up with. Then come and play along. You have until 12 midnight CST on Sunday June 17 to link up your own fabulous creation. I am so excited it's Saturday. I decided to turn this sketch into a square card. I mean why not right? Surprisingly I ended up with absolutely NO stamping!! The patterned papers are Echo Park's Sweet Day collection, the ribbon is Papertrey Ink, and the glittery chipboard letters are Thickers. 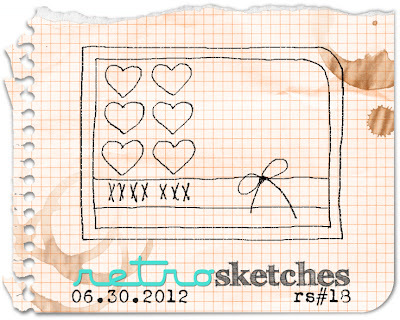 Please head on over to the RetroSketches blog to see the utterly gorgeous creations Arielle, Laurie and Jackie have for you. We would love to see what you all come up with. You have until Thursday June 14th at midnight to play along. ColourQ #140 - Oh No! Oh my goodness, I totally dropped the ball! I was in Vancouver last week and thought I had everything prepared. And unfortunately, I didn't notice until now. So I am now bringing you the newest ColourQ challenge. 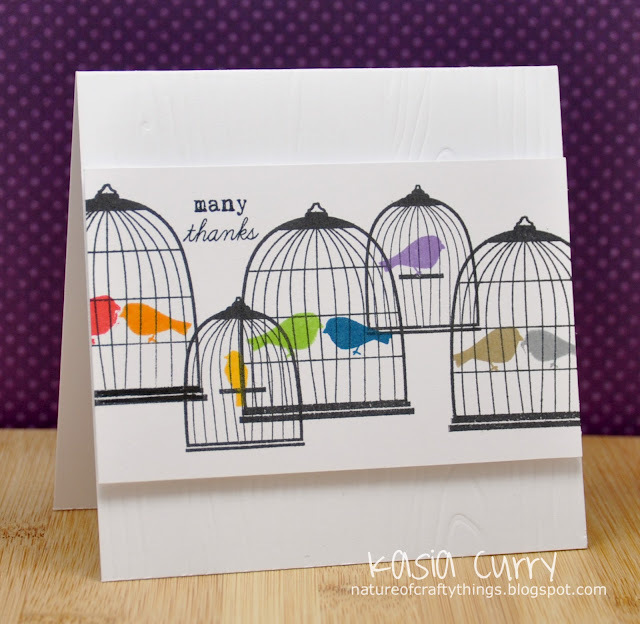 Again, I adjusted the colours of a digi striped paper I had to match the challenge colours, then die cut out some with PTI's postage stamp die. Then found some buttons to match and finished off with a Paper Smooches sentiment from "sunny side up"
Head on over to the ColourQ blog to check out ALL of the fabulous creations the design team have come up with. You have until Sunday June 10th @ midnight to link up your own creation. 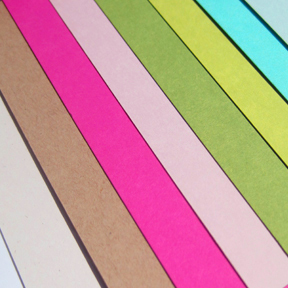 It's time for another Paper Smooches Sparks Trend Watch challenge﻿. 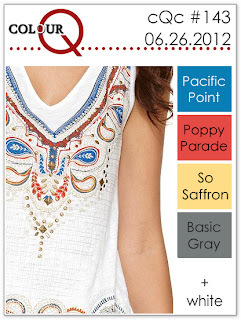 This week's trend is prints. I have so much patterned paper that I am running out of space to put it. The problem is I am regularly at a loss on how to use it! My favourite way is paper piecing! I managed to use 5 sets! What will you do with prints?? 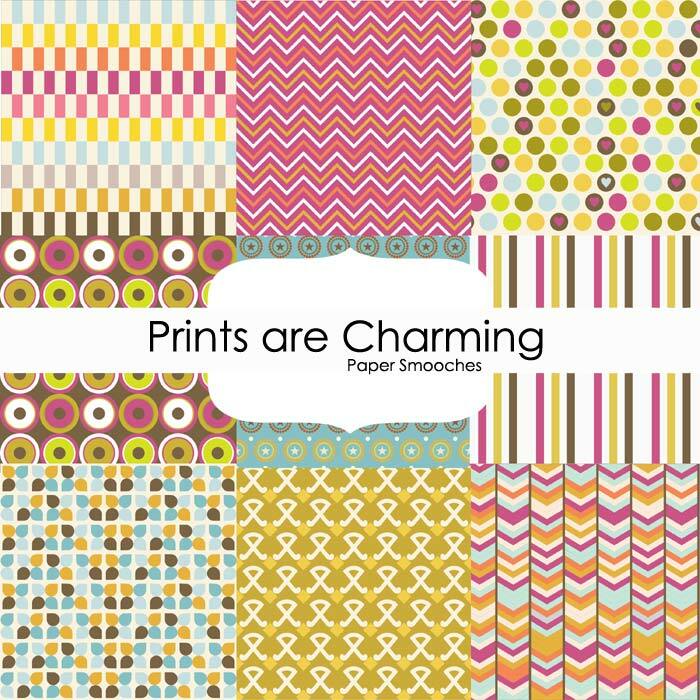 to be eligible to win a $30 Paper Smooches gift certificate! Head on over to the rest of Team 1's blogs to check out what they have in store for you. I hope everyone is enjoying their weekend!! I am currently away in Vancouver visiting with my family, some of whom I haven't seen since my wedding 3 years ago. Being Saturday, it's time for me to bring you another Retrosketch challenge. This one is based off of one of mine, which you can find here. I stamped the cake image from Paper Smooches "hubby & wifey" set onto some old Basic Grey paper and then cut it out. I used a white pen to colour some of it in. 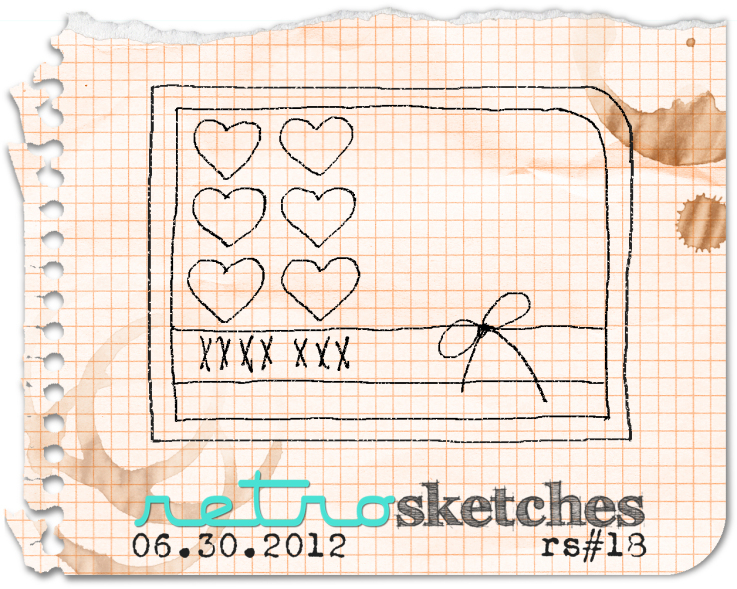 Head on over to the RetroSketches blog to see what wonderful creations Arielle, Laurie and Jackie have designed for you.